Tilt the origami wallet model. 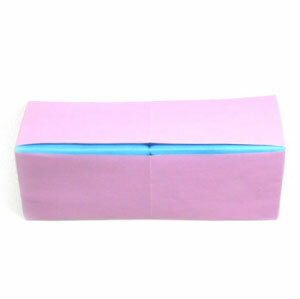 There are two pockets where you can put money or something. 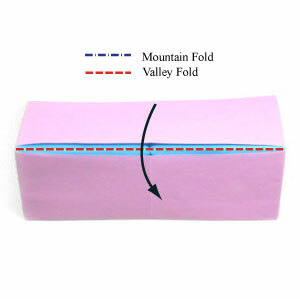 Prepare to apply a horizontal valley-fold to close the origami wallet.